Nowadays, most people are on the lookout for the newest skin improvement procedures in order to renew their natural beauty as well as for achieving spectacular and rejuvenated looks. The advanced technology of today provides a variety of revolutionary procedures for skin treatments, which can significantly improve the skin texture as well as enable you to achieve smooth, refreshing and healthy skin. The Laser Micro Peel treatment is amongst the newest and most effective anti-aging procedures which has the ability to get rid of fine lines, wrinkles and provide a rejuvenated and vibrant appearance. This revolutionary laser technology is also referred to as a weekend skin peel since it treats a variety of skin disorders and offers you an improved and younger-looking appearance in only a couple of days. What is Micro Laser Peel Procedure? Micro peels are a vital part of taking good care of your skin. This particular procedureLaser-micro-peel precisely removes the outer layers of the epidermis along with fine facial lines, keratoses, scars, excessive amount of pigmentation, wrinkles and even skin that has been damaged as a result of excessive exposure to the sun. This Micro Laser Peel procedure can be as specific as the client likes (according to the client’s precise requirements and renewal objectives). The Micro Laser Peel procedure should strike a balance between Microdermabrasion and deep peels so as to deliver accurate and perfect treatment for various skin conditions associated with the aging process. With the Micro Laser Peel procedure, skin care results can be achieved with ease. This particular Micro Laser Peel is the lightest form of virtually all chemical peels. These skin peels aid in making the skin a lot smoother and softer. Besides this, peels also enhance complexion, minimize the size of pores and even reduce skin discoloration. At times, it is also possible to improve wrinkles and fine lines. How does this latest treatment work? Just like various other chemical peels, the Micro Laser Peel procedure is carried out by applying a chemical irritant to the skin’s surface. This treatment procedure is generally carried out at a doctor’s office or even beauty salon by an experienced specialist or perhaps nurse. This entire procedure takes approximately half an hour. Before commencing this procedure, the skin must be gently cleansed and subsequently covered using a glycolic acid solution. The glycolic acid solution must be concentrated up to 20%-30%. You might experience a momentary burning as well as an itching sensation. In order to stimulate the surface of the skin, dry ice could be applied and after that moisturizing lotion or even cream. At a preset depth, the uppermost layer of the epidermis is removed with the help of the Laser resurfacing device. The skin becomes much softer as well as smoother with the elimination of dead or damaged skin layers. Not only does the texture of the skin improve, but the inner layers of skin become a lot softer and smoother too. The Micro Laser Peel not only removes dead layers of skin, but also gives you a healthier, younger and even more vibrant physical appearance. The texture of the skin as well as the skin color tone is also improved considerably. Make-up can easily be applied once the micro peel procedure has been completed. You can also go back to your regular, day to day activities. There won’t be any surface evidence of the procedure having been carried out. However, individuals with a fairer complexion may have slightly reddish skin for just a day. Along with every micro peel procedure, the dead surface cells would insensibly drop. The overall results can be noticed a fortnight after each micro peel procedure. To be able to achieve optimal results it requires around 6 micro peel sessions spaced between 2 weeks. Following this, the effects can be maintained using micro peels treatments every 1 – 3 months. For optimum results the micro peels procedure is used in conjunction with a skin care routine. 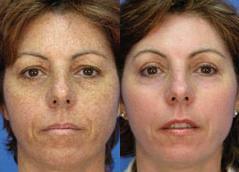 How long would the results of Micro Laser Peel Treatment last? The effects of Micro Peel treatment can last from around six months to a year with follow-up treatments if required. The skin will become a lot more vibrant, smooth and healthy. Just 3 to 4 sessions can achieve optimum results however the doctor will decide if any follow-up sessions are needed. The satisfaction from the procedure is outstanding due to the effectiveness, safety, as well as the affordability of micro peels treatment. However there are a few people who are not satisfied – people who did not sustain their results by means of keeping peels and people who expect a lot more. How long is the recovery process following the procedure? The process of recovery depends upon each individual case. However, generally, it takes about 2 to 4 days. Following the procedure, you will have to use ointments in order to protect the skin from exposure to air whilst the skin is growing new layers of epithelium. Micro peels provide significant advantage as compared to skincare products themselves. A superficial peel not just improves skin tone, texture and overall appearance of the skin; it also reduces the evident size of the pores. A lot of people experience an improvement in superficial crepe paper wrinkles. Regardless of realistic expectations, you will also find some disadvantages. The most typical disadvantages are that the skin fold wrinkles, skin tone and dynamic wrinkles cannot be enhanced with a micro peel. For people with thin, sensitive skin, it could be inflammation for a day or two after the micro peel treatment. In order to avoid it in the future, it is necessary to opt for appropriate concentration of solution for the next micro peels procedure. Micro peels and superficial peels are extremely simple, safe, effective as well as not expensive; for this reason they have become significantly famous, according to the expert opinions. The advantages are great, whereas the risks are insignificant, and most importantly, the cost is affordable.